Sen. Doug Jones, D-Alabama, announced Wednesday that he planned to vote to confirm Trump appointee for attorney general, Bill Barr. Jones is the first Democratic Senator to announce that he is supporting Barr. 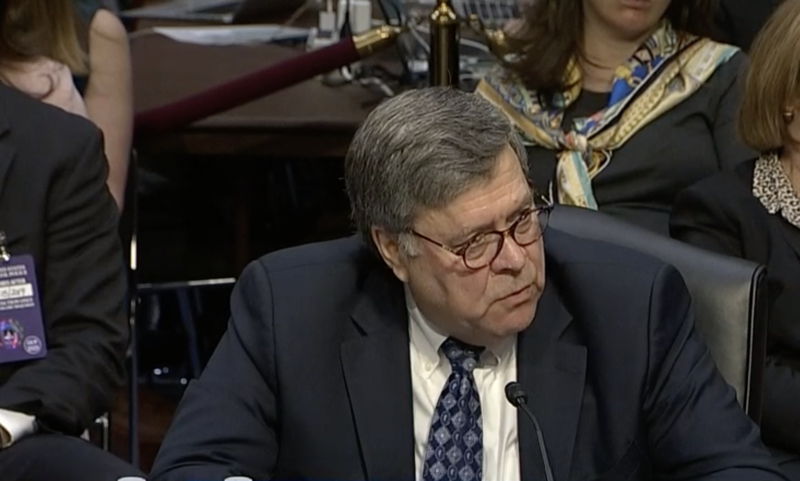 Sen. Richard Shelby, R-Alabama, is also supporting the confirmation of Barr. The Hill is reporting that Senate Majority Leader Mitch McConnell, R-Kentucky, is planning to bring up Barr’s nomination next week. Barr served as the 77th attorney general of the United States from 1991 to 1993 when George H. W. Bush was president. Barr is 68. Jones’ defection makes it very difficult for Democrats to block the confirmation. The Hill is reporting that if Jones votes to confirm, then Democrats would need five Republicans to vote to block and other moderate Democrats, including Joe Manchin, D-West Virginia, have not said what they will do yet. The position of attorney general became vacant when the president forced Jeff Sessions to resign. The president was critical of Sessions’ decision to recuse himself from the investigation into allegations that the 2016 Trump campaign colluded with Russian intelligence. Jones was elected to fill the remainder of Sessions term in the Senate. Jones faces the voters in 2020.